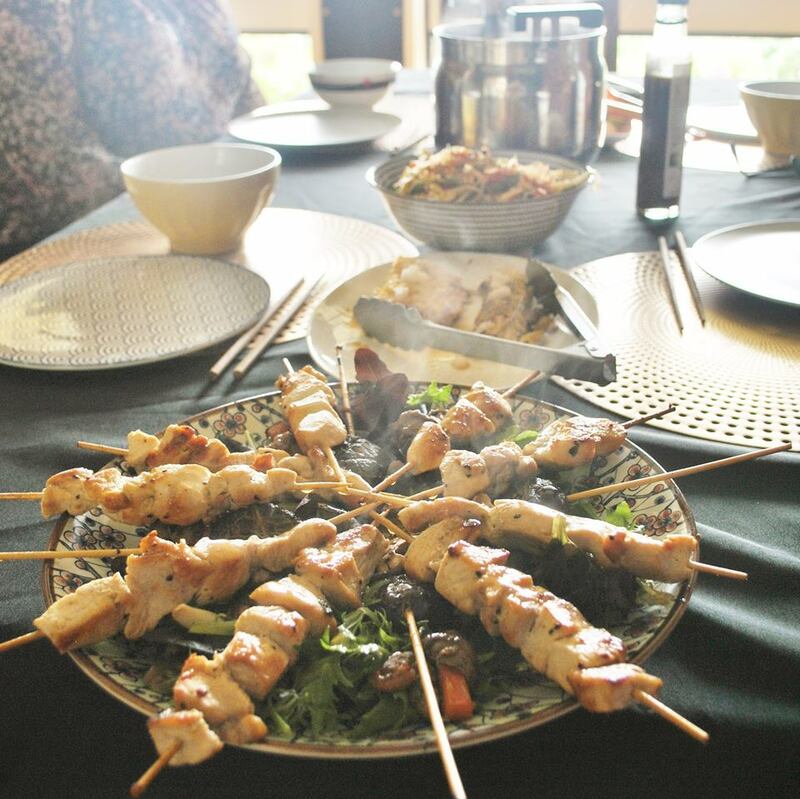 Japanese cooking class in Melbourne SAORI Premium Japanese Sauce.Made in Australia. 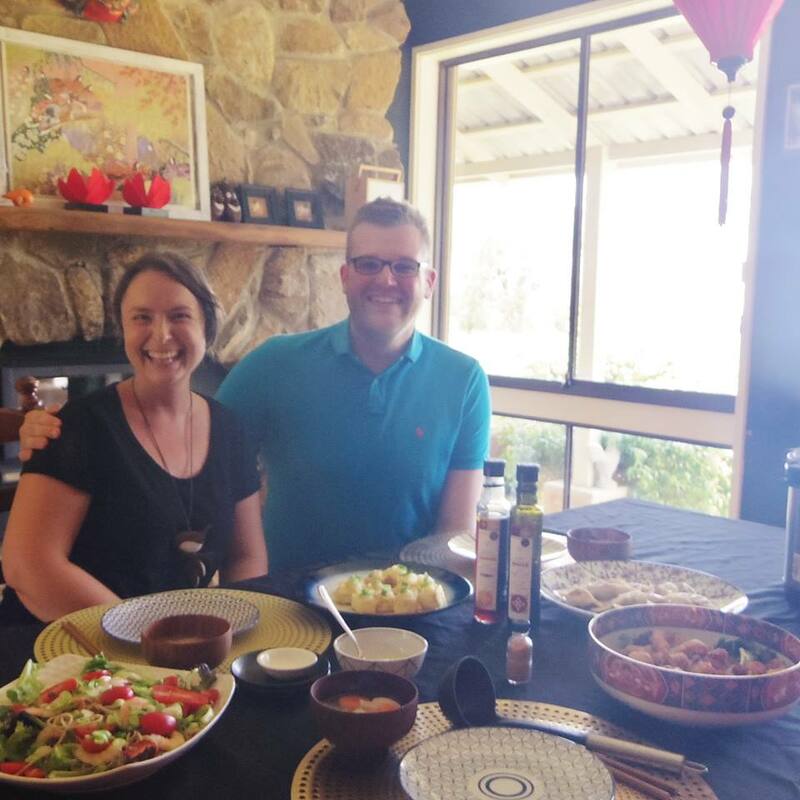 Japanese cooking lessons,class in Melbourne. SAORI Premium Japanese Cooking Class are Now Available. Most people go to a restaurant to eat Japanese food...so it is still quite a mysterious cuisine. ☑learning about Japanese food and why it is so healthy. the nutritional benefits and background of all the dishes you cook. It is never too early (our son started using a sharp knife at the age of 2) or too late to get your children in the kitchen cooking with you. It is such a thrill to eat your kids cooking. ...you will love one of my cooking lessons!!! Enjoy your Japanese meals in a beautiful Japanese dining room. 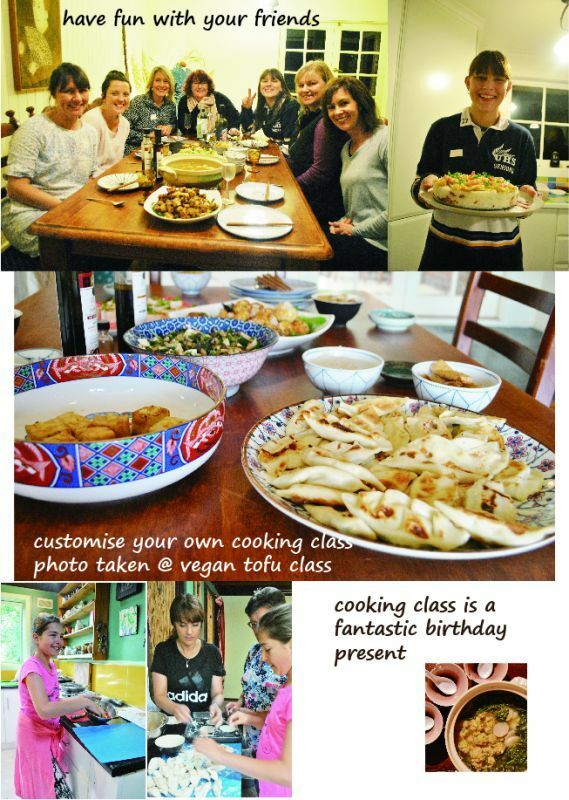 A Japanese cooking lesson makes a great birthday present, a cosy anniversary celebration, a memorable hen's party or simply a wonderful treat for yourself (and your friends). forward to attending a different one when it becomes available. We have made the dumplings and the stir fry. 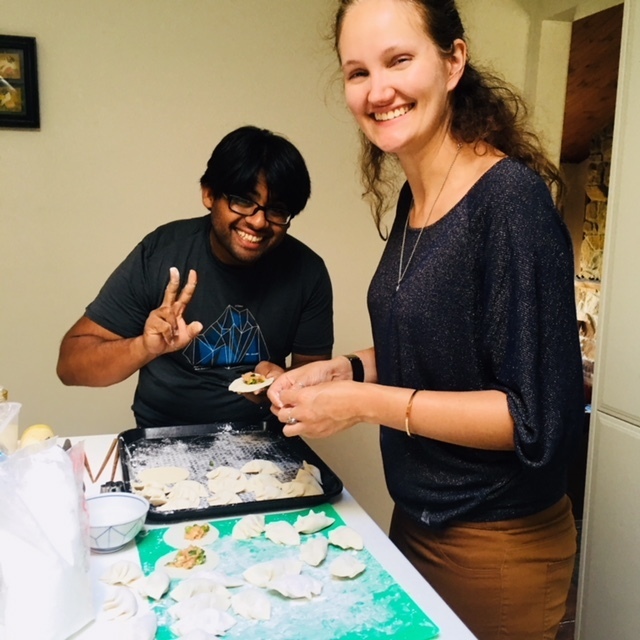 I also made chicken dumplings – just substituted the tofu for chicken I must admit I have been having the “tasty BUT guilt free” snack nearly every day since attending your class…naughty but sooooo yum! I own a Thermomix, so making the dumpling filling was very easy! 🙂 I have also started making okonomiyaki … they taste so much nicer when they are home-made! And for lunch today I fried sweet potato cubes and added your seaweed & Soya with some brown sugar – I saw that on your Facebook page once – also very yum! Thank you again, I will definitely keep my eye out for more classes to attend and some more recipes on your website 🙂 When are you going to publish a cookbook????? 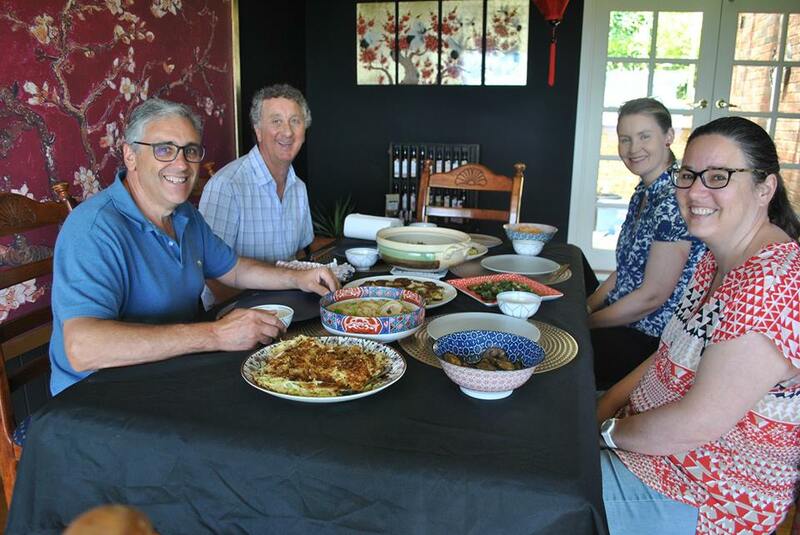 I really enjoyed attending your 3rd June cooking class, but unfortunately it was not until this weekend that I actually had time to try to make your lovely tofu gyoza served with Ponzu as a dipping sauce. Well I don’t know what had held me back, they were surprisingly quick to make – and unsurprisingly even quicker to eat THEY WERE JUST TOO DELICIOUS FOR WORDS! They will definitely be frequent items on our forthcoming menus. For our main meal I made a Chicken Katsu Curry using your delicious Japanese Curry powder, which I served with steamed sushi rice and lightly stir-fried vegetables seasoned with your Goma sauce. Utterly wonderful and even though we hadn’t made the Curry on your course, the packet instructions were so easy to follow. I took some photos to show you, though my photographic skills are not as good as my cookery skills. Thank you so much for introducing me to the art of Japanese cooking, I’m obviously a complete beginner but I look forward to enjoying my journey of discovery as I practise more dishes.